Last year over 2000 delegates and 300+ FinTechs gathered together in London to explore the topics changing the face of financial services. Join the Innovate Finance and be immersed in the ideas shaping global Fintech this coming March 2018. IFGS 2018 will convene the global Fintech community to the Fintech capital world: London. Taking inspiration from the expansion of Fintech globally, the summit will welcome the world's leading lights, from innovators, institutions, and investors to policymakers, regulators, and international trade bodies. Your early bird ticket will provide you full access to both days of the summit. 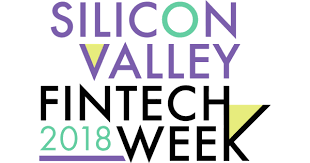 From speaker sessions, panel discussions and fireside chats to the exhibition hall and networking areas, you will be able to network and connect with FinTech’s leading lights. Workshops, roundtables and fringe events are subject to invitation or request. >>> Register and Get Your Tickets Today!